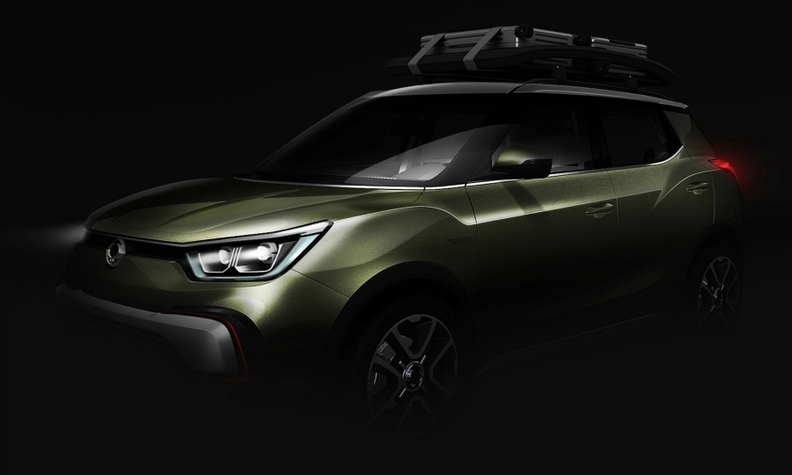 SsangYong will unveil two XIV concepts in Paris -- the open-roofed Air and the more rugged Adventure (shown). 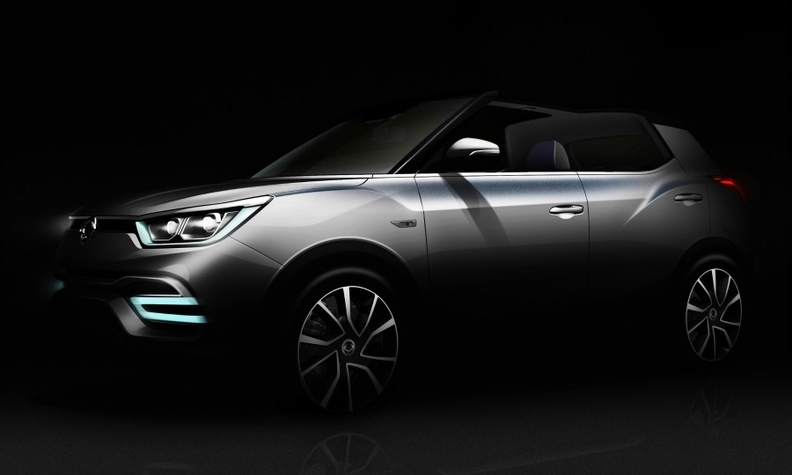 SUV specialist SsangYong will preview a subcompact crossover at the Paris auto show next month with its XIV concept. A production version called the X100 will be launched next year, a SsangYong spokesman told Automotive News Europe. SsangYong, owned by India's Mahindra Group, will become the latest automaker to tap into the growing subcompact SUV segment. This teaser shot from SsangYong shows the open-air Air concept. SsangYong still only has a small presence in Europe but is steadily growing, with sales up 52 percent to 3,997 in the first half, according to JATO Dynamics. The company's biggest seller is the Korando compact SUV, followed by the Rexton large SUV. Two XIV concepts will be shown at Paris -- the open-roofed Air and the Adventure, which has a more rugged look. The production X100 will go on sale in the middle of next year, the spokesman said. The SUV will be powered by two new engines designed by SssangYong, a 1.6-liter gasoline and a 1.6 diesel. Both meet Euro 6 emission standards. At 4200mm long, the concept is 70mm longer than small SUV segment’s sales leader, the Renault Captur. The XIV is the latest in a series of concepts shown by the company to preview the X100 production model. The first concept appeared at the Frankfurt auto show in 2011. “Underneath this concept is the car that will be launched next year,” the spokesman told Automotive News Europe.